August Home, the maker of some of our favorite smart locks, has updated its lineup with a new generation of smart home products. The new lineup includes updated versions of the August Smart Lock: a professional version that's packed with features and a basic model at a reduced price. Both of these let you unlock your door without a key, track who comes and goes, give access to friends and family, and keep your existing lock and keys. Unlike Kwikset's Kevo smart lock, August smart locks are truly hands-free, unlocking when you approach the door instead of unlocking with a touch as the Kevo does. While some people prefer the Kevo's tap to unlock setup, it's hard to beat the convenience of August's auto unlocking, which is exactly what you want when you walk up to the door with an armful of groceries. But while the two August smart locks share the same basic features, the August Smart Lock Pro is certainly the smarter. It adds a lot of connectivity features, so you can remotely control the lock and see who's come and gone from anywhere. So you can easily integrate it with your existing smart home setup, it supports Apple HomeKit and Siri, Amazon Echo and Alexa, Google Home and Assistant, and Z-Wave Plus. You'll be hard-pressed to find a smart home system the Smart Lock Pro won't work with. 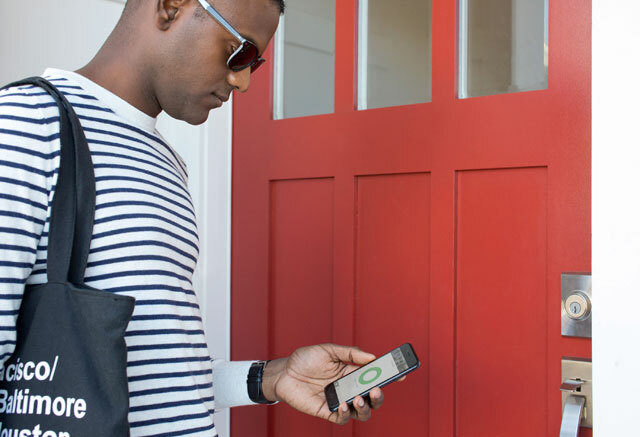 New to both locks is DoorSense, which can detect if your door is open or closed. This means your lock can now notify you if your door has been left open or automatically lock it once it's closed — both welcome features that make using the lock simpler than ever. Another plus is a reduced price: the basic August Smart Lock now costs just $149, making it the best budget option on the market. If you're interested in a smart lock, but don't need to be able to unlock your door remotely, the August Smart Lock adds the convenience of keyless entry for a nice price. 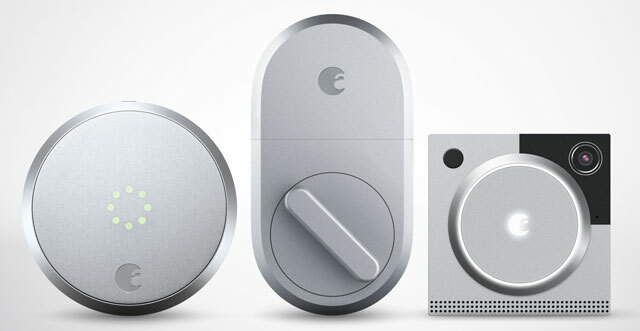 The last addition to the lineup is an updated version of August's doorbell camera. The Doorbell Cam Pro adds a motion-triggered floodlight and an HD camera to August's doorbell camera. The camera is always recording (and erasing old video to save storage space), which lets it save video a few seconds before the doorbell rings, adding a bit of extra context to your videos. The Doorbell Cam Pro isn't available now, but you can pre-order it for $199. It's a reasonable price that puts in-line with the price of the latest Ring Video Doorbell, which doesn't include a floodlight or always-on recording. Both the August Smart Lock Pro ($279 on August.com and Amazon) and the August Smart Lock ($149 on August.com) are available now, while the Doorbell Cam Pro ($199 on August.com) is available for pre-order and currently ships in October.